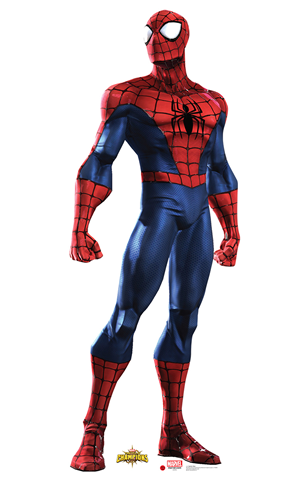 Spider-man Marvel Cardboard Cutout Standup Prop - Dino Rentos Studios, INC. This Spider-man Marvel Carbpard Cutout Standup Prop is a great addition to any Superhero Themed Party or Display! This life-size cutout from the comics and silver screen measures 72" Tall x 26" Wide.